Calgary, still referred to by some as Cowtown is a fun, dynamic city with a young demographic. Even with the oil slowdown it’s got an energy to it that I love. There’s always lots going on in the city especially in the summer when the Calgary Stampede and the Calgary Folk Music Festival come to town. I think these 10 fun things to do in Calgary are perfect for locals and visitors alike. You have to ride the elevators up to the observation deck on the Calgary Tower at least once. Then step onto the glass floor and watch 190 some metres disappear beneath your feet. If that freaks you out then just wander 360 degrees around on the Observation Deck reading all manner of informative signs. Did you know you can have lunch or dinner in the restaurant a floor above the observation deck? That’s a fun thing to do as the restaurant rotates – so over about an hour you see the layout of the entire city. Calgary’s Riverwalk is a great destination at any time of the year. Look for dedicated bike and pedestrian lanes that run alongside the Bow and Elbow Rivers. Bikers, joggers, birders, walkers …you name it the Riverwalk draws an eclectic crowd. Want to be spoiled? Have brunch at the River Cafe on Prince’s Island? And if you’re just looking for coffee and some of the city’s best baked goods head east to the Simmons Building and line-up at the Sidewalk Citizen Bakery. Their gooey cinnamon buns are a decadent treat. Calgary’s historic Stephen Avenue is a pedestrian friendly street from 6 AM until 6 PM every day of the week. Historic buildings, many made with locally quarried sandstone, line much of the street – which received National Historic Site status in 2002. Shop at a mix of high end retail stores like Holt Renfrew, relax in the Devonian Gardens – an indoor park and botanical garden or eat in one of the many excellent restaurants. In summer visit for outdoor lunchtime concerts. Those white dinosaur looking pieces (at least to me) you see on Stephen Avenue are called the Galleria Tree sculptures. They’re an iconic part of Calgary’s downtown landscape found just outside Bankers Hall. Interestingly they were installed in 2000 to reduce wind gusts. The Calgary Stampede, also known as the Greatest Outdoor Show on Earth comes to the city early in July every year and stays for 10 days. As a local I love the way the city transforms during this period. The atmosphere is laid back. Jeans, a pair of cowboy boots along with a cowboy hat (don’t be like me and wear your hat backwards) are the clothing of choice. Did you know you can stuff yourself at free pancake breakfasts all over the city every day of the Stampede? Check out one of the many agriculture shows like the sheep shearing, miniature horse or vintage tractor pull. And catch some country music by some of the biggest names in the industry. Elton John’s piano where he wrote his first five albums. Two songs were massive hits – Tiny Dancer and Rocket Man. There’s a Rush Hockey Night in Canada drum set custom built for Neil Peart. It was used for his rendition of Hockey Night in Canada. Try and time a visit so you can see a demonstration of the Kimball Theatre Organ. It was used during the silent movie era and is capable of making an enormous variety of sounds. There are vocal booths where you can practice singing. If you want to be a rock star try out some of the instruments. Opened in November 2018, Calgary’s flagship public library is worth a visit for the architecture alone. Even the New York Times agrees. They listed it as one of the top 52 places to go to in 2019. The library is the sixth most used library in North America. Over 360,000 people visited the new library over the first two months alone. Built over a LRT line, the new library features cool amenities like Chromebook laptops, gender-neutral washrooms, more than 30 free and bookable meeting spaces and Luke’s Restaurant. Head to the Prow on the top floor for one of the best views in Calgary. Chances are you’ll be one of the lucky few if you ever see a panda bear in the wild. But head to the Calgary Zoo and you can watch the two adults and two cubs munching away on fresh bamboo. They’re just one of the nearly 1,000 animals that call Calgary home. Allow at least a few hours to leisurely wander through the grounds and pavilions. Don’t forget to say hello to the penguins too. We’re very lucky in Calgary when it comes to biking. The City of Calgary reports that there are “approximately 900 kilometres of pathways and 400 kilometres of on-street bicycle routes within the city.” And that doesn’t reflect all the biking you can do in Fish Creek Park – which isn’t within the city limits. Bike in Calgary on any day of the year though in winter fat tire biking would be the way to go. The pathways are often in better shape than the roads. If you’ve ever been to some of the great food halls in Paris, Lisbon or New York then you know how different they are from a food court. 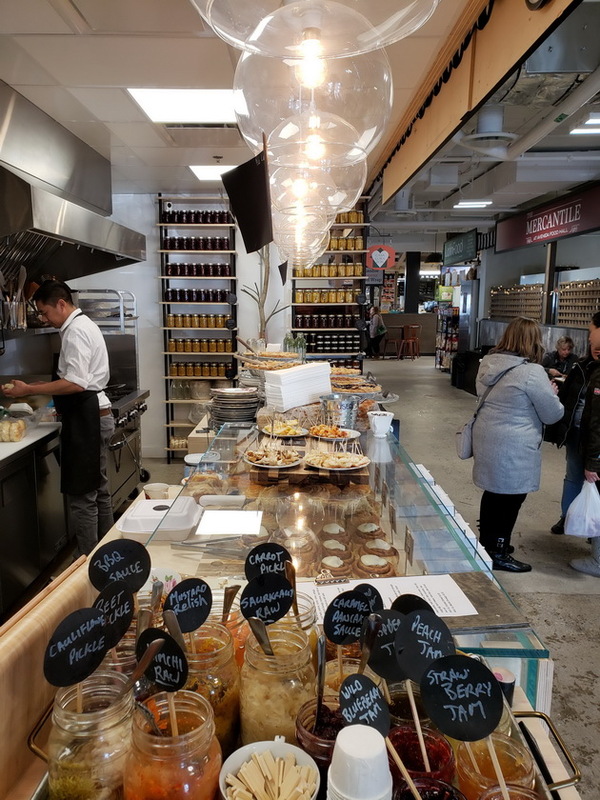 Avenida Food Hall & Fresh Market is the first food hall in the style of the great European ones to open in Calgary. Beyond the 25 full-service restaurant options, visitors can visit vendors like the ones you’d usually find at a traditional farmers’ market. Look for butchers, bakers, artisans and even micro-artisans who are able to rent wall space. If you love great food and want to explore the local growers and makers check out the food hall from Thursday to Sunday between 11 AM and 8 PM. Walking randomly around Calgary looking for art in unexpected spaces is something I love to do. Downtown Calgary in particular, is home to some excellent and thought-provoking artwork. One of the most photographed pieces is the 12 metre high wire sculpture of a young girl’s head called Wonderland. You can’t miss it outside of the Bow Building. And once there it entices you to explore inside. Photographers and Instagrammers will love it. Another favourite, especially at night is the Chinook Arc in Barb Scott Park. When you’re on a mission and focused you might be surprised at the street art you find. Half the fun is looking. I’ve just scratched the surface of some of the fun things you can do in Calgary. A few other suggestions include rafting the Bow River on a hot summer night; catching a Calgary Flames NHL game; bobsledding at Calgary Olympic Park or speed skating around the Calgary Oval at the University of Calgary. Leave a comment if you’ve got suggestions for more fun things to do in Calgary. Click on the photo to bookmark to your Pinteest boards.